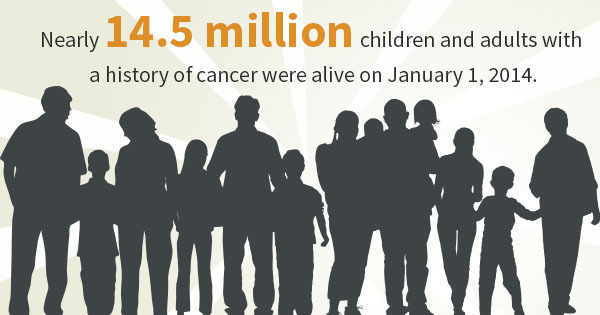 As of January 1, 2014, there were nearly 14.5 million living children and adults with a history of cancer around the world, demonstrating the importance of finding effective treatments for this devastating condition. To discover potential therapies, oncologists and researchers often turn to translational medicine, which “translates” new findings into effective medical decisions and approaches. This tactic usually relies on biobanking facilities, and for good reason: in 2000, the number of tissues samples in American biobanks alone was estimated at 300 million, and has since increased by 20 million a year. However, in 2011, as many as 329 cancer researchers reported that they were having trouble finding samples of sufficient quality. Fortunately, laboratory sample management software has improved dramatically in recent years, resulting in better samples and organizational methods to track freezer inventory. This helps researchers find the best possible samples for their studies, whether they are researching cancer or heart disease or thousands of conditions in between. Many experts say that this could lead to a number of better treatments for these disorders, pointing to recent successes as proof. One of these examples is a fresh study from the University of Alabama at Birmingham, where a team of cancer researchers believe they have made a significant discovery about a prominent subtype of breast cancer. There are five different types of breast cancer, each with distinct biologies that progress and react differently to treatment. The researchers discovered that one of these subtypes, called HER2-enriched or HER2+, has an elevated expression of two proteins: poly (ADP-ribose) polymerase, a DNA repair enzyme also called PARP1, and phospho-p65. As a result, the team believes that a type of drug called PARP inhibitors could be used to better treat women with HER2+, which currently has a fairly poor prognosis. This discovery follows several other trials which have previously shown benefits to PARP inhibitors, including one study that showed that HER2+ cells are sensitive to the drugs, and others that suggested it could be used in cases with both defective and intact DNA repair pathways. To further study the condition and the potential use of the medicine, the UAB group tested breast cancer tissue that had been collected from 307 patients between 1992 and 2012 and stored using laboratory sample management software. The patients had been diagnosed with HER2+, basal or luminal breast cancer. They found that HER2+ tumors had higher levels of PARP1 and phospho-p65 when compared to other tumors, and that these proteins were coordinately expressed. It is perhaps unsurprising to learn that PARP1 has previously been linked to particularly aggressive tumors. In light of their discovery, the research team is recommending that PARP inhibitor sensitivity be tested in further trials. In time, with further usage of tissues stored with laboratory sample management software and a focus on these proteins, perhaps researchers will be able to use this information to create a more effective treatment.